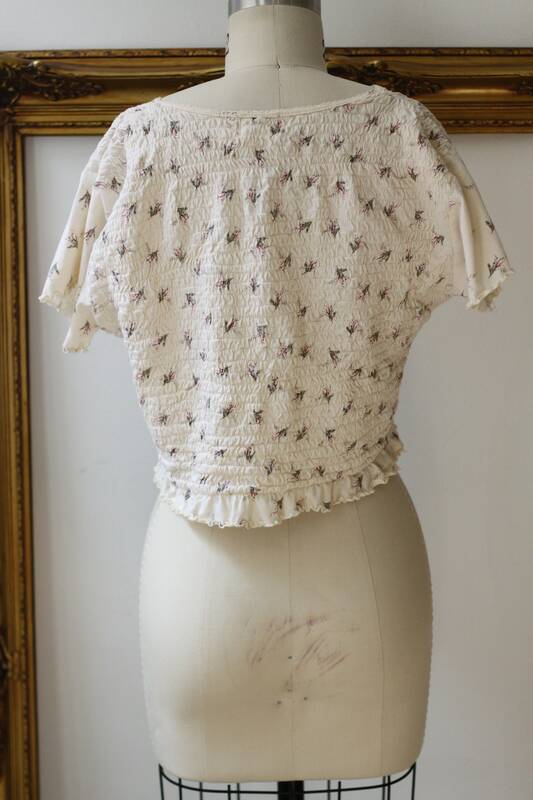 Late 1980s soft pink mini floral print crop top. 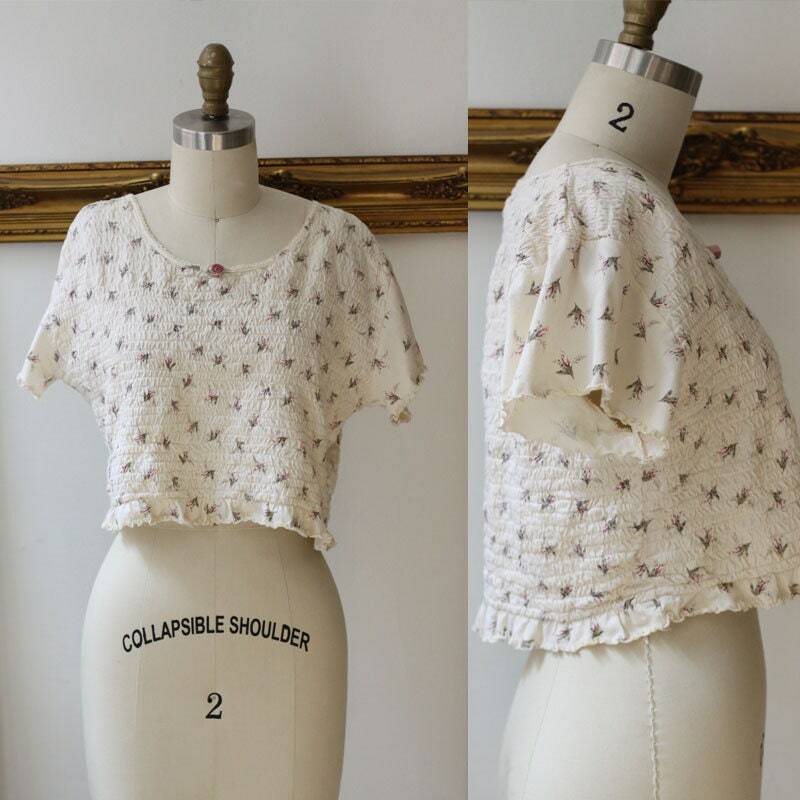 Short sleeves with micro ruching throughout the top. 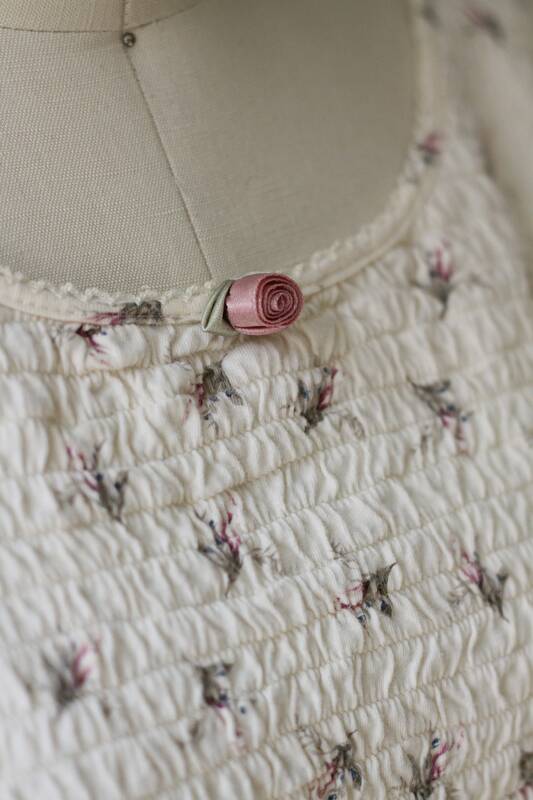 Mini floral ribbon rose at the chest of the top. 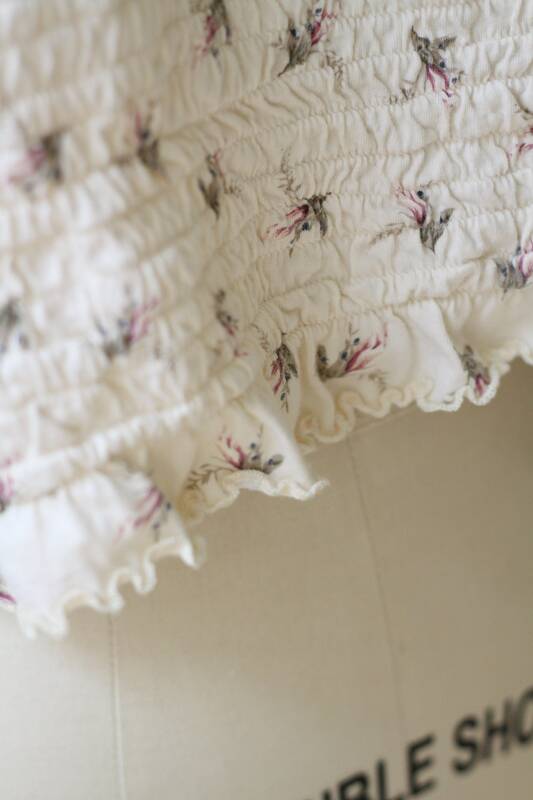 Soft colours throughout the fabric print. 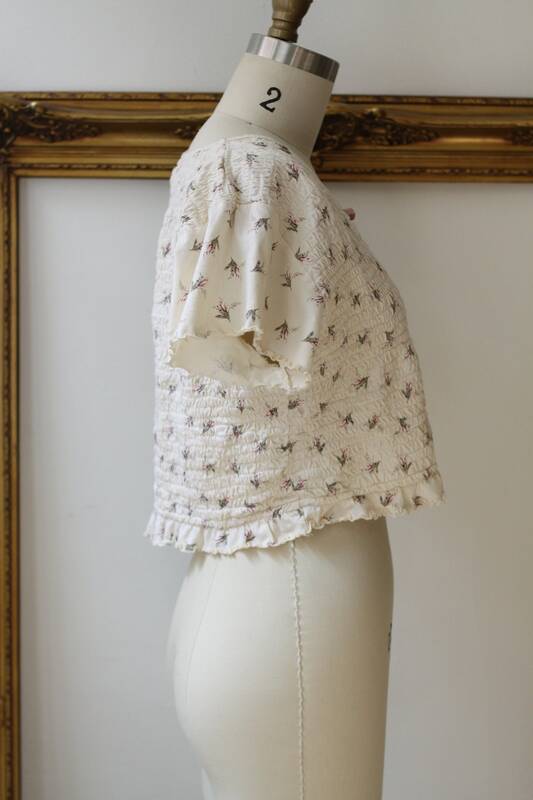 So many great ways to style this top.